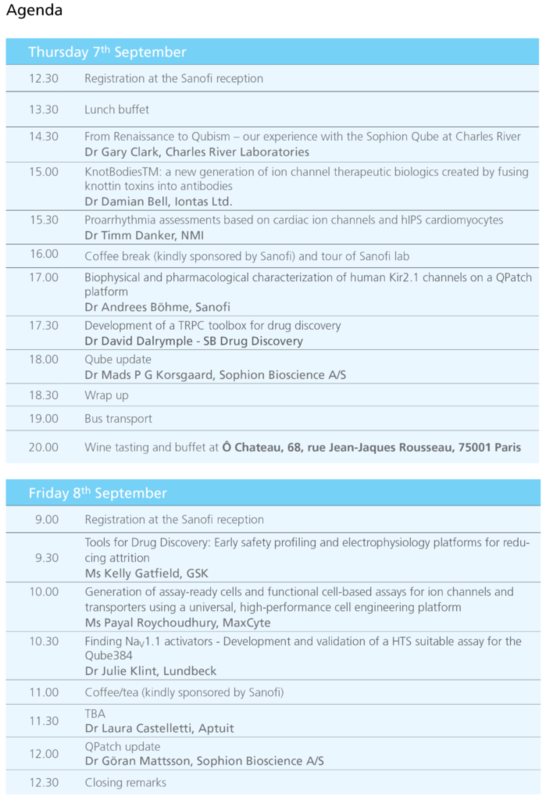 We are happy to invite you to our European Sophion User Meeting on 7th and 8th September and we are very pleased to announce that Sanofi in Paris kindly has offered to host the meeting this year. We are preparing an interesting programme starting at noon on 7th September giving everyone a chance to travel to Paris in the morning. Wrap-up on 8th September just around lunchtime.